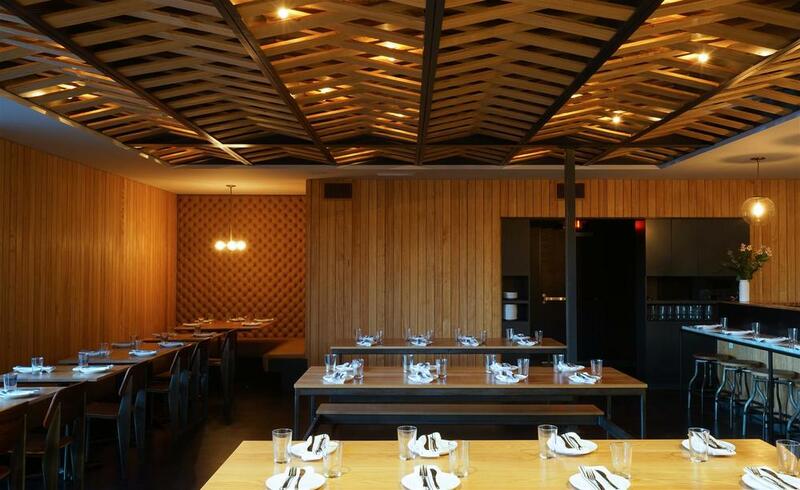 unit d pizzeria — A Parallel Architecture. Austin, Texas. The last developed unit in a mid-century modern four-unit shopping center (thus the "D" moniker), this popular East Austin restaurant tenant-improvement project was designed to maximize the functionality of it's small 1600sf space while creating a simple and inviting atmosphere. Seating, service, and cooking efficiencies were studied at length to ensure maximum seating capacity, efficient service routes, and ergonomic cooking stations. But equally important was maintaining a comfortable balance of spaciousness and intimacy throughout the 50-seat dining room, which includes bar seating, communal tables and banquettes. A generous waiting area, something atypical of small restaurants, greets customers below a light-filled double-height space on axis with the heart of the kitchen, an Italian-imported pizza oven. A straightforward palette of pine, steel, concrete and marble offer an understated and durable background for the space, as exposed shelving pushes and pulls to provide functional amenities, including a host stand, built-in bench and storage. Strategic use of discreet skylights and mirrors help expand the sense of space and provide for an ever-shifting ambient light throughout the space. 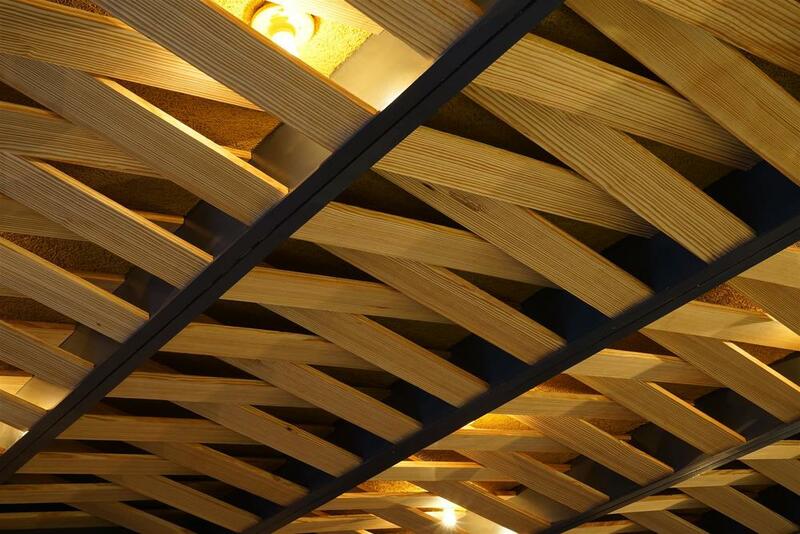 A woven wood ceiling helps to diffract noise and conceals a sound-dampening material and indirect lighting above, which provides a warm twinkle at night to recall the flicker of the oven flame.